Dare you dance with the Paramount Theatre ghost? Will you summon up the courage to enter a pitch black grotto? And how fast will you run when the dragon stirs? 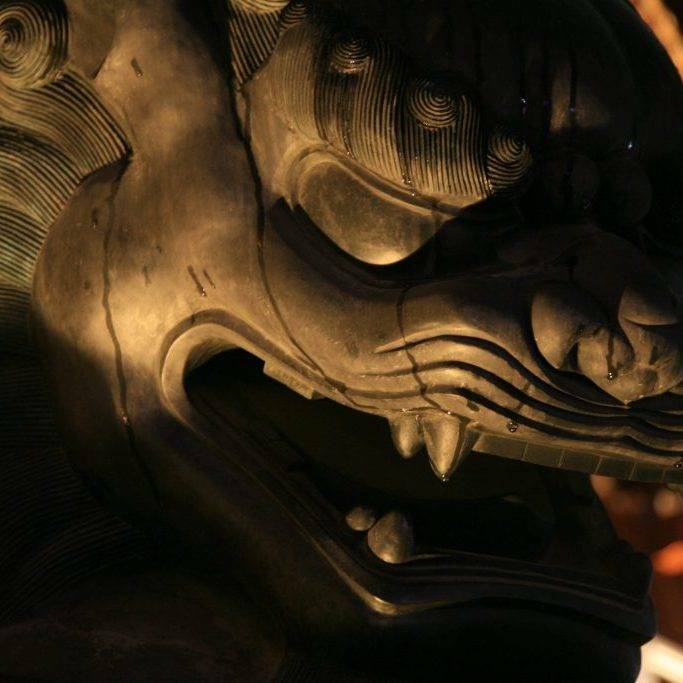 Join us on our action-packed Ghost Tour and find out just how brave you are as we take you to visit Jingan Temple’s Guardian Lions, explore an expat cemetery, and go in search of Shanghai’s long-lost Bubbling Well. And after all that ghost hunting you’re bound to be hungry, so why not also sign up for our Ghost Festival Dinner? As well as eating delicious Chinese food, you will also get to experience a unique Chinese tradition that involves inviting the dead to your dinner table and having your fortune read by Chinese gods. Shanghai’s one and only Ghost Tour makes for a unique and memorable evening out in Shanghai and is an absolute must for anybody that wants to understand Chinese superstition or enjoys a good old-fashioned fright! 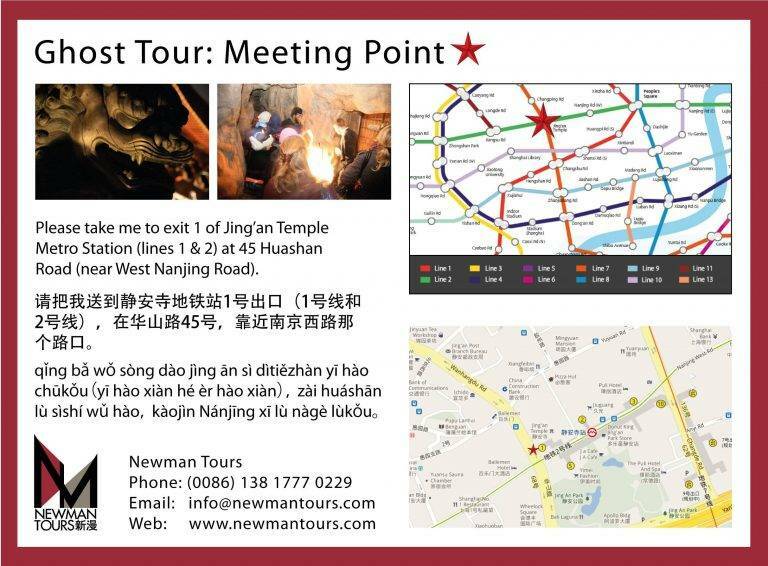 Meet outside exit one of Jingan Temple Metro Station (lines 2 & 7), on the corner of Huashan Road and West Nanjing Road (静安寺地铁站一号出口, 华山路四十号, 靠近南京西路). Visit Jingan Temple’s Guardian Lions and ask them for their protection against the evil spirits of the night. Discover the identity of the two ghosts that haunt the Paramount Theatre and find out why you should always keep an eye on its fourth-floor windows. Explore Shanghai’s haunted back-streets and find out why the ghosts that haunt them are said to target foreigners. 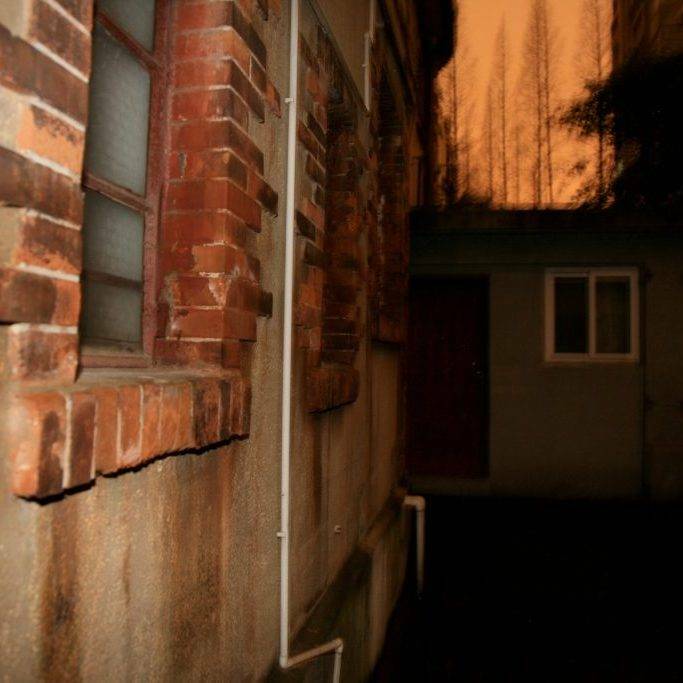 Listen to the most famous ghost story in Shanghai in an eerily empty park. Brace yourselves for a scare besides the charred remains of a burnt out hotel. Find out why builders in Shanghai refuse to knock down an old colonial house. Find out why shopping can be a dangerous pastime in Shanghai and view video footage of the city’s legendary granny ghost. Enter Jingan Cemetry and ask a Tree Ghost for the winning lottery numbers. Don’t walk too close to the edge as we go in search of China’s terrifying water ghosts. Enter the depths of a pitch-black grotto in search of the Mad Abbot of the Bubbling Well. Try your hand at some ancient Chinese water calligraphy and learn about how Emperors dealt with traitors. Nobody will leave the Ghost Tour empty handed. 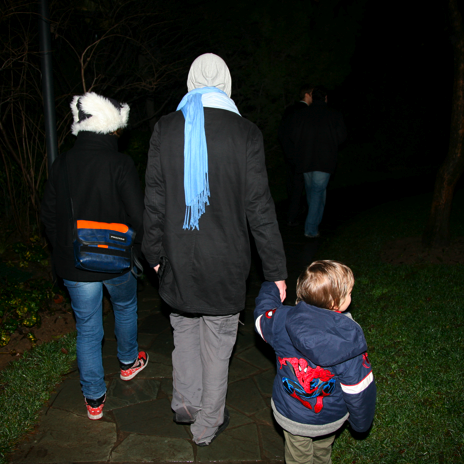 Guests on our Public and Private Ghost Tours will receive a Floating Lotus Lantern. Children under 5 go free. Getting There：The Standard Meeting Point for Private Ghost Tours is outside exit 1 of Jing’an Temple Metro Station (line 2), on the corner of Huashan Road and West Nanjing Road (静安寺地铁站一号出口, 华山路四十号, 靠近南京西路).